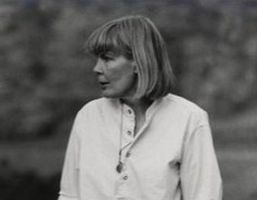 Maia Isola was born in Riihimaki, Finland in 1927. She studied arts and painting at the Helsinki Art School from 1946 to 1949. 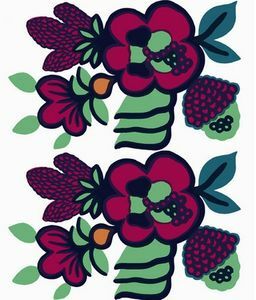 In 1949 she was hired as a textile designer by Printex, a Finnish textile company founded by Viljjo Ratia. 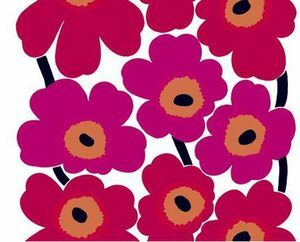 From 1951 she designed for another Finnish textile company, Marimekko. 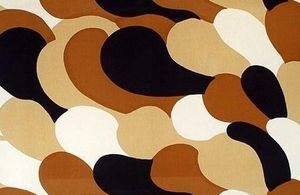 She designed colorful abstract patterns that were popular in many countries such as the United States where she started selling her fabrics in 1959. 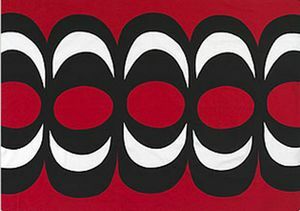 She drew inspiration from traditional folk art, modern visual art, nature and her countless trips around the world. 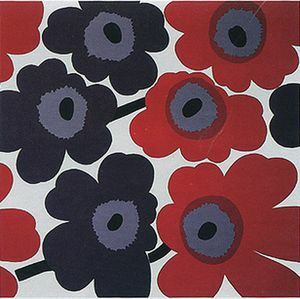 Marimekko Manty fabric originally designed by Maiija Isola in 1959. 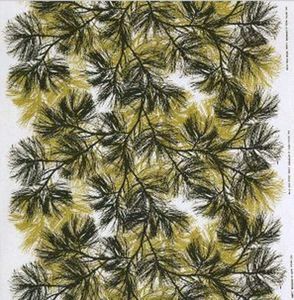 Pine tree pattern.